origin (Betaine, Auxins, Cytokinins, Gibberellins) and salicylic acid derivatives with boron, potassium, calcium and magnesium. 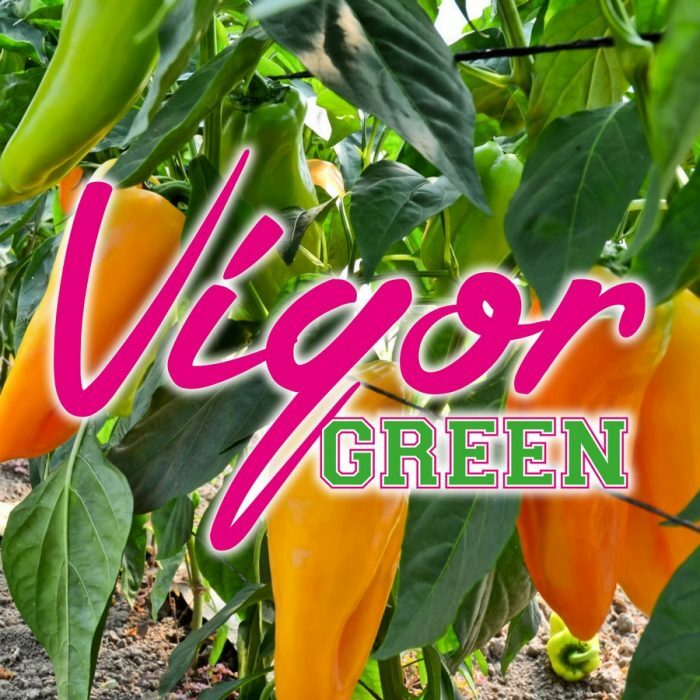 VIGOR GREEN stimulates the plants to promote growth during phenological phases most important: flowering, fruit set and enlargement of the fruit guaranteeing the obtaining of the maximum efficiency in each phenological stage of the crop. The components present in VIGOR GREEN facilitate the vegetative recovery after stress situations of various nature, contribute to improving so the significant qualitative and organoleptic characteristics of crops and improve the defense capabilities of natural plants. VIGOR GREEN used in seed treatment stimulates the processes of germination and promotes the emergence of seedlings.